Family and church are my first priority, and then my real estate business comes next. I have been specializing in foreclosed properties for 11 years and in real estate with RE/MAX for over 15 years. I love people and love to work, so I really love what I do. I feel really blessed in all aspects of my life. Helping others anyway I can is my goal in life. Bought a Single Family home in 2016 for approximately $250K in Beebe, AR. Beverly is a woman of integrity and an awesome realtor! She will go the extra mile for her clients because it's more than a business to her...it is an investment in people. We did not have to worry about the process of purchasing a home with Beverly as our representative. She is the only realtor we will ever call! We highly recommend Beverly Baldridge! Bought a home in 2015 in Center Hill, Searcy, AR 72143. Mrs. Beverly was truly a God send. She is so knowledgeable and always willing to share an honest opinion of properties and price. She went above and beyond for us and was very flexible with our crazy schedules. She never pushed us, she always showed us what we wanted to see, and was diligent to look for us and find properties to fit our wants and needs. She is one of the kindest and most genuine people I've ever had the pleasure of meeting. We will most definitely work with her again and will highly recommend her to anyone buying or selling in this area! Showed home in 2014 in Biggers, AR 72413. I have used Beverly Baldridge on a number of purchases as well as sales. ALWAYS very attentive to the needs of both buyers and sellers, and she always makes herself available for all my crazy questions! A wonderful realtor! I would recommend her to anyone wanting to buy or sell property! Beverly is wonderful! She helped us buy a new home and sell our old one. She is very knowledgeable and has great advice. I have recommended her to a close friend and she sold her house as well. Bought a Single Family home in 2014 for approximately $100K in Beebe, AR. Mrs. Beverly Baldridge showed outstanding professionalism when she showed and sold us our home. She was very organized with providing us a list of things we had to have in order to complete the sale. Thank you Mrs. Baldridge. Sold a Single Family home in 2014 for approximately $125K in Judsonia, AR. Beverly is great! She is friendly, and genuine which makes me (the client) feel at ease and like she really cares. She is hardworking and honest which is extreamly important. She is also very experienced and knowledgeable; I always appreciate her telling me about a neighborhood or if a price is accepable or not. I definitely recommend her and will continue to work with her in the future. Sold a Single Family home in 2015 in Judsonia, AR. Bought a Single Family home in 2010 in Searcy, AR. I first met Mrs Baldridge on the phone from California. I was relocating to Searcy Arkansas. She went above and beyond to find my family a home. She negotiated the perfect deal and made our dreams come true.She also found the perfect investment property for me. If you hire her, you've got the BEST, hands down. Bought a Single Family home in 2015 in Searcy, AR. We have used Beverly to buy and sell properties nine times since 1999. Needless to say, she is an excellent agent. 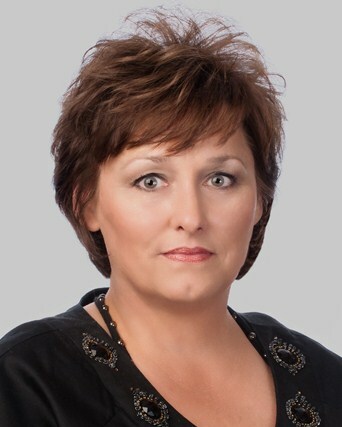 She is very knowledgeable about all aspects of purchasing and selling real estate. She is always quick to respond when we call her or have a question. Beverly is trustworthy and a true professional. She is always honest and a woman of high character.